Reaching and maintaining a healthy weight is important for overall health and can help you prevent and control many diseases and conditions. If you are overweight or obese, you are at higher risk of developing serious health problems, including heart disease, high blood pressure, type 2 diabetes, gallstones, breathing problems, and certain cancers. That is why maintaining a healthy weight is so important: It helps you lower your risk for developing these problems, helps you feel good about yourself, and gives you more energy to enjoy life. Overweight is having extra body weight from muscle, bone, fat, and/or water. 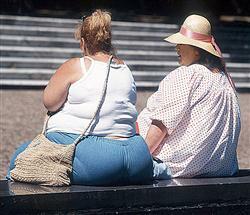 Obesity is having a high amount of extra body fat. 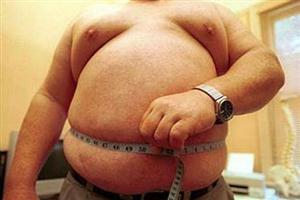 Body mass index (BMI) is a useful measure of overweight and obesity. According to the National Health and Nutrition Examination Survey (NHANES) data from 2007–08, the overall prevalence of overweight and obesity for adults was 68 percent. Children have become heavier as well. In the past 30 years, the prevalence of childhood obesity has more than doubled among children ages 2-5, has tripled among youth ages 6-11, and has more than tripled among adolescents ages 12-19. The information on this Web site will provide you with information about BMI (including limitations of this measure) and how to reach and stay at a healthy weight. Talk to your health care provider if you are concerned about your BMI. Many factors can contribute to a person’s weight. These factors include environment, family history and genetics, metabolism (the way your body changes food and oxygen into energy), and behavior or habits. To maintain a healthy weight, your energy IN and OUT don’t have to balance exactly every day. It’s the balance over time that helps you maintain a healthy weight. The BMI calculator is also available in a mobile application. This tool provides results right on your iphone along with links to healthy weight resources on the NHLBI Web site. Measuring waist circumference helps screen for possible health risks that come with overweight and obesity. If most of your fat is around your waist rather than at your hips, you’re at a higher risk for heart disease and type 2 diabetes. This risk goes up with a waist size that is greater than 35 inches for women or greater than 40 inches for men. To correctly measure your waist, stand and place a tape measure around your middle, just above your hipbones. Measure your waist just after you breathe out. The table Risks of Obesity-Associated Diseases by BMI and Waist Circumference provides you with an idea of whether your BMI combined with your waist circumference increases your risk for developing obesity-associated diseases or conditions. For people who are considered obese (BMI greater than or equal to 30) or those who are overweight (BMI of 25 to 29.9) and have two or more risk factors, it is recommended that you lose weight. Even a small weight loss (between 5 and 10 percent of your current weight) will help lower your risk of developing diseases associated with obesity. People who are overweight, do not have a high waist measurement, and have fewer than two risk factors may need to prevent further weight gain rather than lose weight. Talk to your doctor to see whether you are at an increased risk and whether you should lose weight. Your doctor will evaluate your BMI, waist measurement, and other risk factors for heart disease. The good news is even a small weight loss (between 5 and 10 percent of your current weight) will help lower your risk of developing those diseases.